Singapore company registration specialist Rikvin has today launched its Global Corporate Tax Calculator. The tool is made available for free on its website and is part of Rikvin’s efforts to enhance its offerings as a one-stop business solutions provider. The global calculator builds on its Singapore Corporate Tax Calculator, which was launched last week. While the former tool allows an entrepreneur to determine his firm’s effective corporate tax rates in Singapore, the global calculator allows entrepreneurs and firms to compare their Singapore corporate tax liability vis-à-vis that of 17 other well-liked business jurisdictions. These countries include Australia, China, Germany, Hong Kong, India, Indonesia, Ireland, Japan, Korea, Philippines, Malaysia, New Zealand, Thailand, Vietnam, United Kingdom and United States of America. The tool makes this process easy for the user. In an instance, one can see which jurisdiction offers the lower corporate tax burden. “The tool makes this process easy for the user. One need only choose the country to compare Singapore with and key in the firm’s chargeable income. The calculator automatically computes the estimated corporate taxes of both countries. In an instance, one can see which jurisdiction offers the lower corporate tax burden,” said Ms. Christine Lim, General Manager of Rikvin. “This tool would be most useful to entrepreneurs or firms that are considering a new setup location, relocation or expansion. 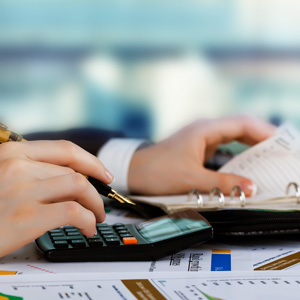 Corporate tax payments form a significant component of a small firm’s annual budget and plays a part in determining what it can or cannot spend on. Therefore, a sound understanding of the tax burden between countries allows entrepreneurs to make informed decisions as well as choose a business location where they can enjoy the most tax savings,” added Ms Lim. “Singapore’s corporate tax framework has consistently been part of the reason why it is esteemed as a strategic business location in the heart of Asia. Although business costs are on the rise everywhere in the world, Singapore’s tax structure is attractive to entrepreneurs with an interest to tap opportunities in the many emerging commercial nodes close to the republic. We hope this tool will make that fact more apparent,” she affirmed.